AT&T AUDIENCE NETWORK’S HIT SERIES “MR. MERCEDES” RETURNS TO SDCC! Star-studded cast and creators of returning original “Mr. 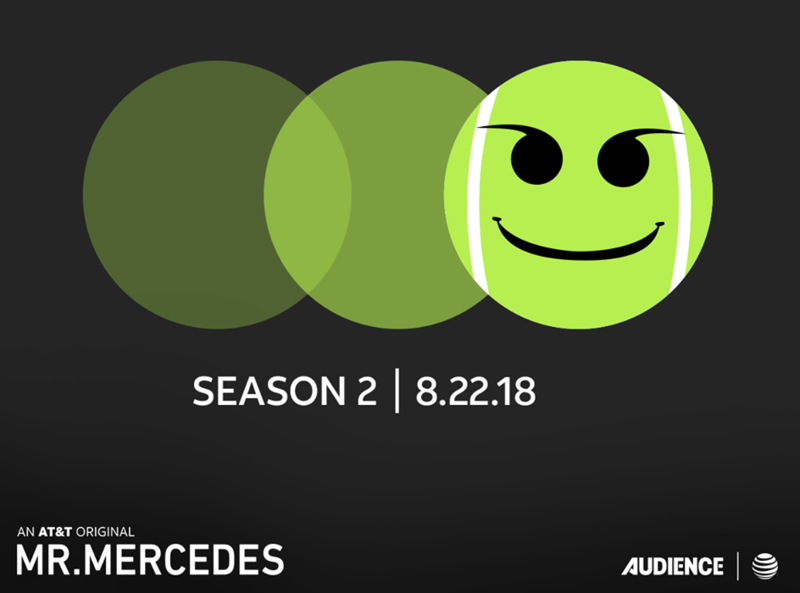 Mercedes,” based on the trilogy by Stephen King, to present a panel and be available for interviews to discuss the all-new season. WHAT: Get a sneak peek into the making of the highly anticipated season two of “Mr. Mercedes” by speaking with the fan-favorite cast and creators prior to their panel at San Diego Comic-Con on Thursday, July 19th. WHO: Cast and creators of “Mr. Mercedes” Justine Lupe, Breeda Wool and Jack Bender. PREVIOUS POST Previous post: Super Troopers 2 Cast at Comic-Con BeLIVE it! NEXT POST Next post: CBS Studios: Charmed, Star Trek Discovery, Magnum PI, Twilight Zone Make a SDCC Impression!